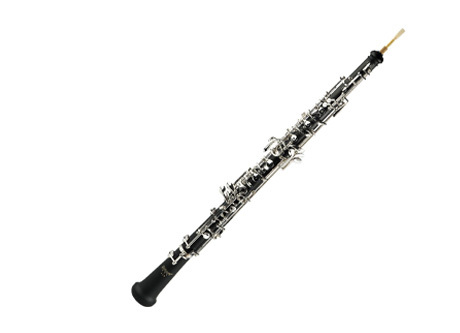 The oboe is a woodwind instrument in the double reed family that plays music written in the treble or soprano range. The distinctive oboe tone is versatile, and is described as “bright” in the Vienna Symphonic Library. The oboe is commonly used in concert bands, orchestras, chamber music, film music, in some genres of folk music, and as a solo instrument. It is occasionally heard in jazz, rock music, pop music, and popular music.